This is not in any way the only way to build lean muscle, but it has worked for us. and we have taken advice in the gym from professional bodybuilders and athletes. We have put this into practice and worked out what information works best for us in our routines at the gym. We feel this has given us a sound knowledge base around training, therefore we would like to share some of this with you now! We don’t expect you to follow this to the tee, it’s merely advice on what we feel are fundamentals of starting to build muscle for the beginner. You get your gym membership but you’re a little anxious, right? What if I’m the smallest guy in the gym? What if I can’t lift as much as some of these girls in here? Don’t worry, we had these thoughts ourselves in the past. but your with your friends and there’s a hot girl looking at you, so you have to still lift the heaviest weight you can, right? so this is what you should stick to!! The majority of who perform weight training just want to build muscle and to stay fit and healthy. at the end of the day we are talking about building muscle here, not powerlifting just yet. once a little more advanced then you can think about other routines some of which we can talk about at a later date. Leave us a comment below if there are any specific routines you want to discuss. concentrate more on the eccentric movement (the dumbbell lowering towards your chest). what we have found is by concentrating on the eccentric movement you are working the muscle and breaking down more fibres in the muscle during this type of movement. Like we said earlier, you will likely have to leave you ego in the car park because the weight you’re lifting will drop if you perform exercises in this way. You will however feel the muscle working a lot harder than throwing about a heavier weight incorrectly, we guarantee. Try it you’ll see our point! This applies for any movement in my opinion whether it be dumbbell, barbell or machine exercises for any body part. all of which are very useful in their own way. “why not use the machines? People have researched and spent lots money developing these for you to build muscle”. While we agree with Phil, we feel when starting out with trying to build muscle there is nothing better than ‘free weights’, dumbbells and barbells. The reason we believe this is because you are controlling the weight, you have not got a fixed machine, where you are basically just pushing or pulling a weight up or down. Free weight brings in stability which is fundamental in progression towards building muscle and developing a tight strong core. however when I went to incline barbell press my left arm would give way after 5 reps due to the lack of strength and stability in my left arm from not using free weights in the first place. trust me stick to free weights to begin with and you will notice the difference in your appearance and eventually your strength. but with sticking to the articles subject, we are talking about the basics, the beginning of your journey! This section is basically what it says on the tin, if you fail to prepare, prepare to fail. We always have a plan of what muscle group we are training and what kind of movements we shall be doing before we even get to the gym. Obviously you do whatever suits your lifestyle. However there is logic behind training these body parts on these certain days. Legs and Back are the two biggest muscle groups you’re going to train, so you want them spread as far apart as possible for maximum benefit in the gym. also they involve a lot of triceps involvement when doing pressing movements so again we spread them apart from our arm sessions. We feel a midweek rest is key in keeping the mind focused on the task ahead and also it’s known and proven that rest is just as important as the training with the growth and repair of muscle tissue. With Leg, back and chest days, we would focus primarily on compound movements which are squat, deadlift and barbell bench press. These are ‘the’ muscle building movements, (watch any Mike O’Hearn video you’ll see what we mean!). 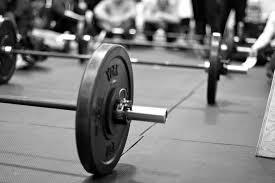 Deadlifts and Squats are known to boost natural testosterone which in turn helps the whole process in building muscle. In our opinion this is 80% of the deal. The training side is the ‘enjoyable’ other 20%. Nutrition is key in building muscle, broken down muscle fibres from training need fuel to repair and grow. Whilst we could talk about nutrition all day we will keep it simple, feel free to browse our site for nutritional ideas and advice. So basically routine is essential, it keeps your body knowing when it’s ready for feeding. Eating 5 small meals a day keeps your metabolism high which in turn is great for burning extra calories throughout the day. We eat 5 meals a day; these are spread throughout the day from waking up to going to bed with approximately a 2-3 hour gap apart with each meal. The types of foods you eat in these meals are all dependent on your goals and ambitions. However for beginners we would ensure you are getting good quality proteins from sources such as chicken, fish, red meat etc. Our advice would be to be eating 1-1.5g of protein per lean body weight, especially when weight training. For example my current lean body weight is around 180 pounds; therefore I aim for at least 180 grams of protein per day. Drink plenty of water, several litres a day we would recommend. Supplements are important such as protein, creatine etc. Supplements are called supplements for a reason, they supplement a healthy diet and you should not skip a decent meal to instead have a protein shake. In our opinion whole foods are always the number once source for building muscle, supplements just aid the process. This is just some basic information on nutrition we would advise you browse our site for further more detailed nutritional advice. We hope you enjoyed this brief intro into getting started with weight training. We hope your muscle building journey is a success. As we said earlier this is a very basic advice but still an important article if you’re new to the gym. We hope you will keep visiting our site proteinhunter.com for the latest information. Be sure to check out our Twitter page @protein_hunter for weekly offers and deals on the leading supplements and clothing in the fitness world.